Do you know about our sister company Northern Light Technologies? NLT was founded in 1984 as a division of Levitt-Safety, and over the past three decades they’ve become a leader in mining technologies across the globe. 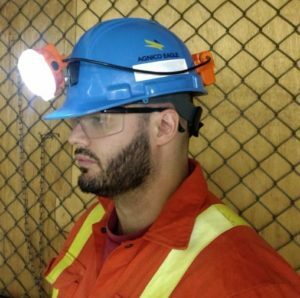 Initially recognized for their orange cap lamps, the company continues to make ground-breaking innovations across the mining industry to keep workers safe and connected to one another while working in hazardous environments. In fact, they were the first company to introduce Wi-Fi networks to underground coal mines. NLT continues to pioneer the development of technologies which offer diverse solutions for miners’ safety, communications and productivity. With locations in Canada, Chile and Australia, NLT provides many of the largest and most reputable mines across the globe with their mining network communication solutions. A new, high-power lithium-ion battery pack is mounted on the back of the hardhat to keep the lamp and accessories running through an entire 12-hour shift on high output. This also has the added benefit of equalizing weight distribution from the front for additional comfort. Imbedded on the battery pack is an incorporated LED “tail light” for easy recognition of personnel from behind. This addition gives off a blue light which allows workers to easily identify who is present in an area regardless of which direction they are facing. The Eagle incorporates either an RFID (radio frequency) or Wi-Fi tag into each unit allowing the lamps to act as a method of access control and tracking personnel. By incorporating N-Connex networking and Digital Mine Software, you can easily ensure that all workers in an area are accounted for. 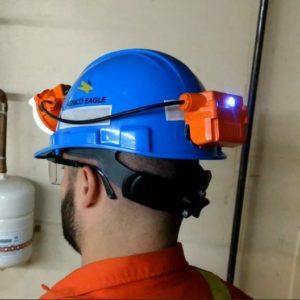 Easily add personnel tracking to your safety program by having each worker scan their lamp and ID badge at your NLT Kiosks when heading out for their shift, or even just when visiting a mine. From that point until the time that the worker scans back in, that particular Eagle will be registered under their name. These assigned IDs are unique to each user and can hold a myriad of important information, and the real-time location tracking can be tracked with either Wi-Fi or RFID tags. 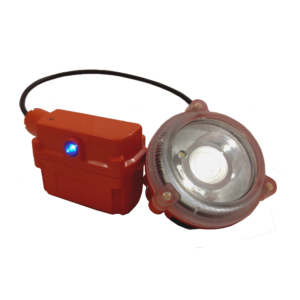 Eagle cap lamps have the ability to initiate emergency assistance requests or evacuation notices with the push of a button. Combined with the tracking technologies, this option gives rescue personnel the edge needed to execute safer and quick responses to emergency situations. 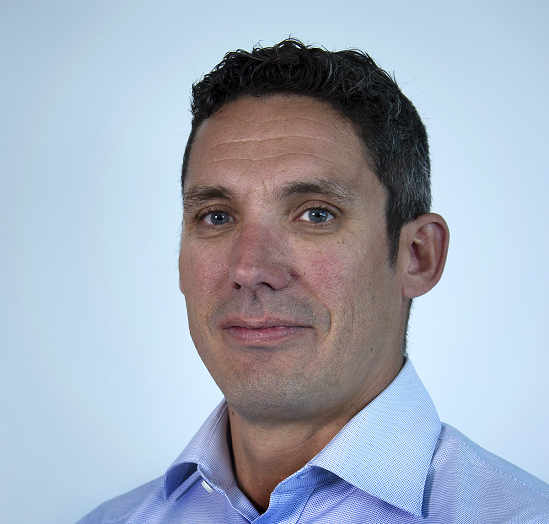 NLT has added the features required for a fully-integrated safe workplace in a lighting product that is already essential in the mining environment. When you take advantage of the full lineup of NLT products, the safety and accountability of your workplace is now effortlessly trackable. From the time that a worker initially enters an area and is assigned a cap lamp through their entire shift, you can easily monitor their status and wellbeing through N-Connex and Digital Mine Software. Do you have questions about bringing your mining safety to the next level with Northern Light Technologies? Be sure to reach out to us to find out how the Eagle can fit into your safety program or shop online today.